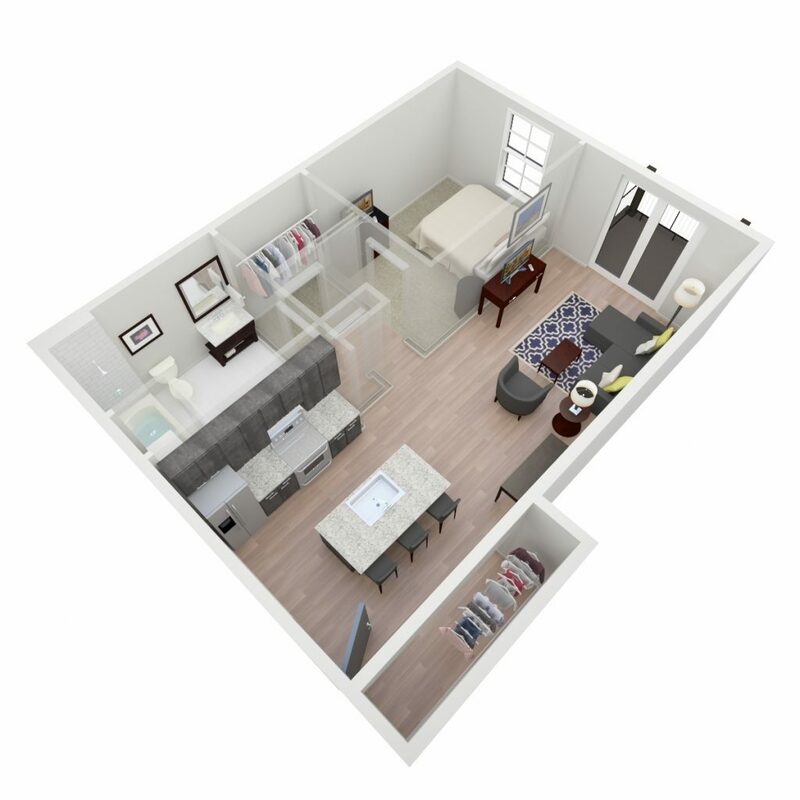 The Breck I is a unique One Bedroom, One bath that feels upscale and urban while sitting comfortably in the charming setting of Grove City’s Historic Town Center. The spa-like luxurious bathroom is bright and clean with real subway tiling and stunning tile flooring. Tucked away in the lavish bath is an included washer and dryer, making this thoughtfully designed layout perfect for those looking to save time and space while clothes laundering.